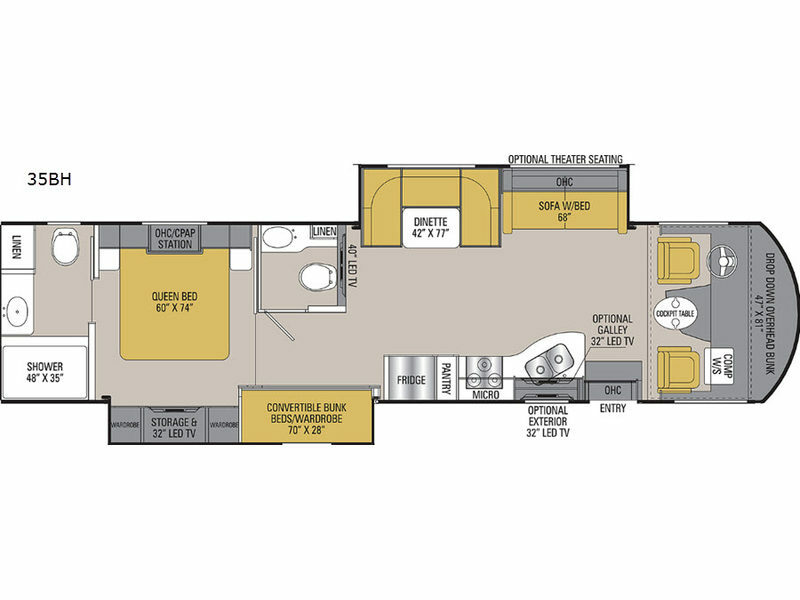 If you are ready to step up to the motorhome lifestyle, then you are ready for the Mirada class A gas coach by Coachmen RV. 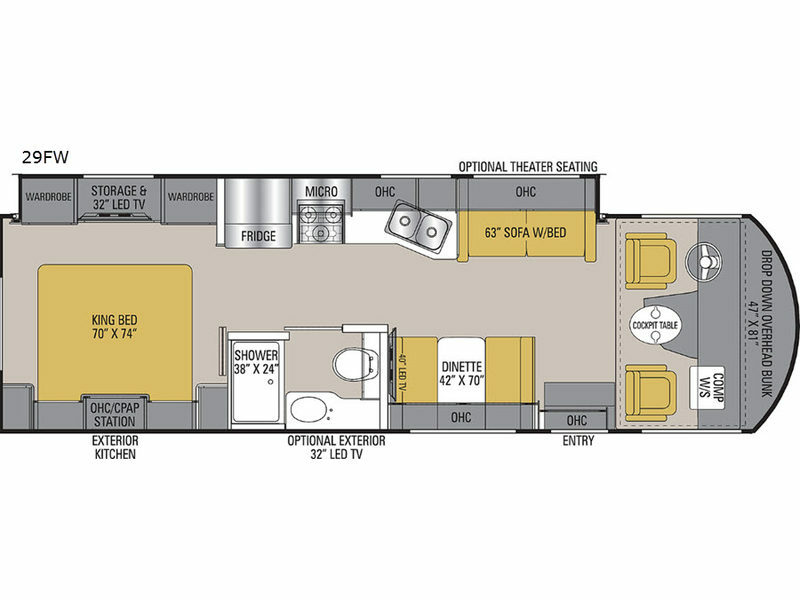 The Mirada makes RVing more comfortable, convenient and stylish! 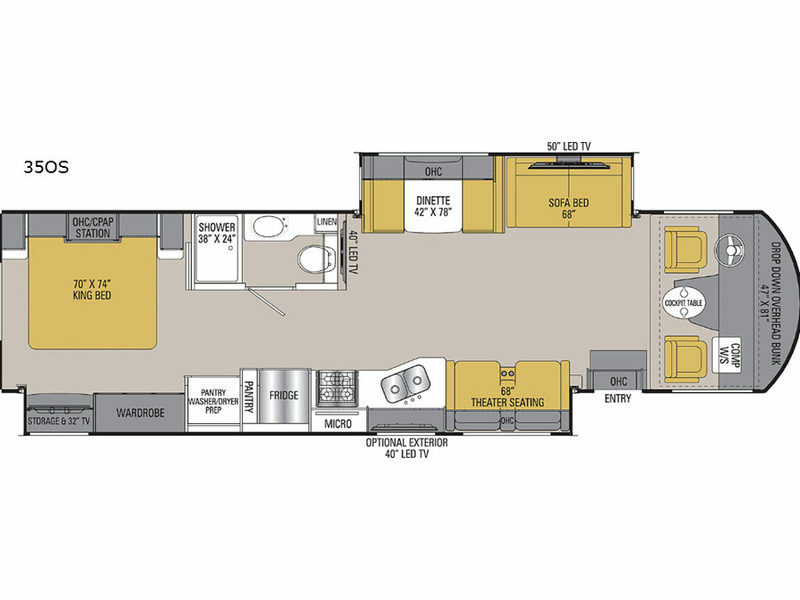 You will be proud to own any Mirada with the fiberglass front and rear cap including a crowned, laminated fiberglass roof for a more aerodynamic look. 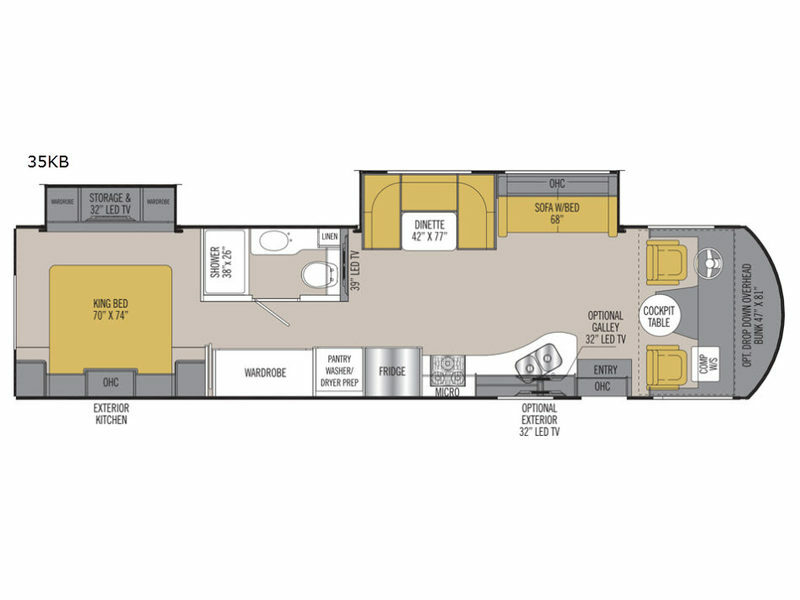 Plus the handy full basement featuring pass-through storage for oversized and outdoor gear, and the new features offering a relaxing and spacious coach. 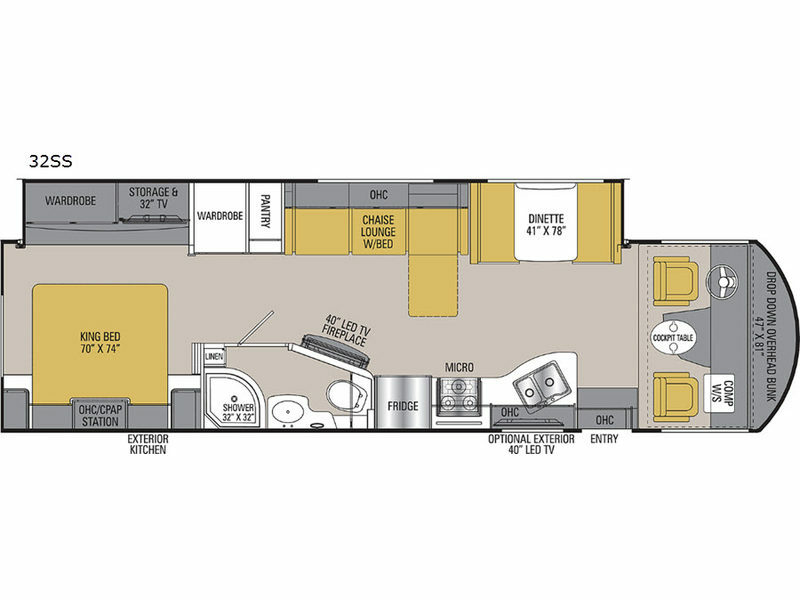 The Coachmen Advantage gives each model a smoother ride, a better camping experience, and a motorhome to enjoy for years to come! 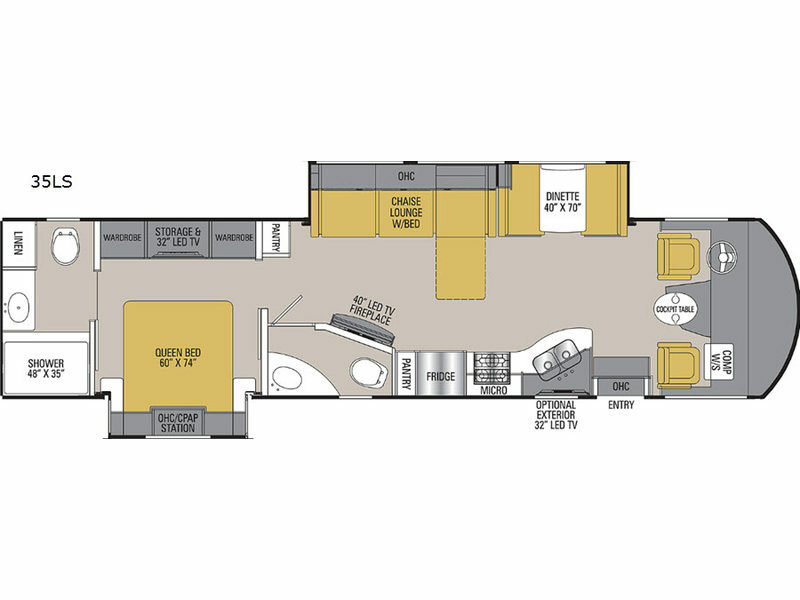 To feel right at home where ever you go, choose a Mirada class A gas motorhome from Coachmen RV! You'll be glad you did and your wallet will too! Shower Size 48" x 35"
Basement Storage 125 cu. ft.